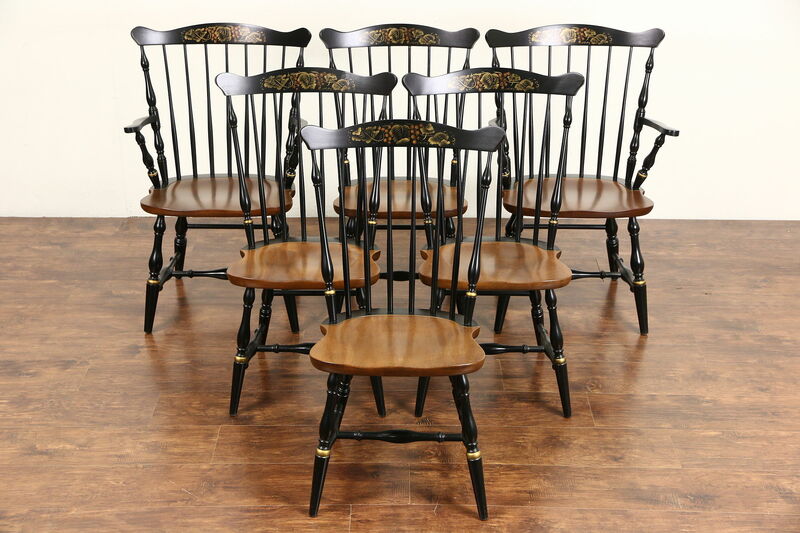 A set of six solid maple dining chairs are signed "Hitchcock of Connecticut." The traditional stenciled design has a very fine original finish from about 25 years ago. Frames are tight and strong on this American made vintage furniture. Two arm chairs measure 24" wide, 21" deep and 36" tall, the side chairs are 21" wide and all have seats of 18" tall.